Welcome to the beginning of part of SuperPhillip Central's celebration of seven years online! While I couldn't celebrate as big as I did on the fifth anniversary with a list of my 100 favorite games ever, I think this list of 50 game soundtracks suffices for a seventh anniversary all the same! Starting with ten this week followed by ten more each week for four other weeks, this list is of my personal favorite game soundtracks. There is only one rule with this list, and that is that the soundtracks on this list must be from games I've actually played. Thus, if you find yourself baffled at why your favorites aren't listed, perhaps that's the reason why. Now, without further ado, let's get to the games and their soundtracks! We start off with a series that used to have a game coming out yearly. Now, it's better left in hiatus. That said, Castlevania: Dawn of Sorrow was my first foray into the Castlevania series, and ever since I've been a big fan of both the Metroid and classic styles that the games have. 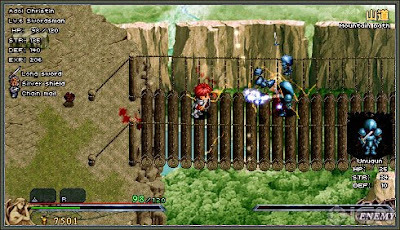 Dawn of Sorrow possesses one of my favorite soundtracks from the series, offering an abundance of catchy and environmentally conscious themes, perfect for whip-slinging some vampires, bats, and Medusa heads. Wario's games generally didn't impress me much with their soundtracks. Sure, I dug some of the music from Wario World and Wario Land 4, but I was never as impressed with a Wario game's music than I was and still am with Wario Land: Shake It!, or as our PAL pals know it as, Wario Land: The Shake Dimension. Songs of all tempo and a range of genres were what players get with Shake It's soundtrack, making me want to coincidentally enough "shake it" until I couldn't shake no more! My favorite kart racer doesn't have my favorite kart racing soundtrack, but it's a masterful soundtrack nonetheless, thanks to Dave Wise! You can be certain that this won't be the last time Mr. Wise's works appears on this list. 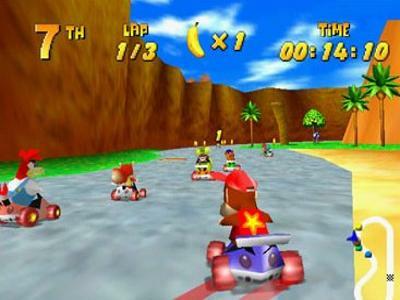 Featuring bright and bouncy themes, sometimes mellow, sometimes tense, Diddy Kong Racing's music casts the player with a whole wide range of emotions depending on the racing and speeding situations. The second Good Feel developed game to hit this list, Kirby's Epic Yarn is a more mellow soundtrack with real instruments rather than the synth of past games. It all adds up to a sound that is quite lovely. As heard by the two game examples from Good Feel, the composer behind those games knows his stuff for sure. 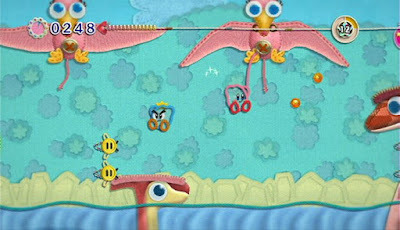 It makes me very eager to hear what the upcoming Wii U release by Good Feel, Yoshi's Woolly World will sound like. If it's as awesome as the art style, we'll be in for quite the treat. No doubt Mega Man 2 has one of the more recognizable soundtracks out there, but there are indeed 45 others that I hold to higher esteem, whether or not it's just because I listen to the others a lot more. 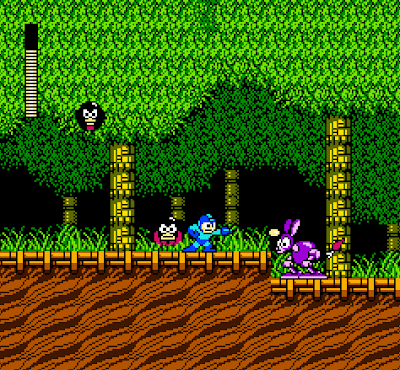 There is no questioning, however, how iconic Mega Man 2's music is. 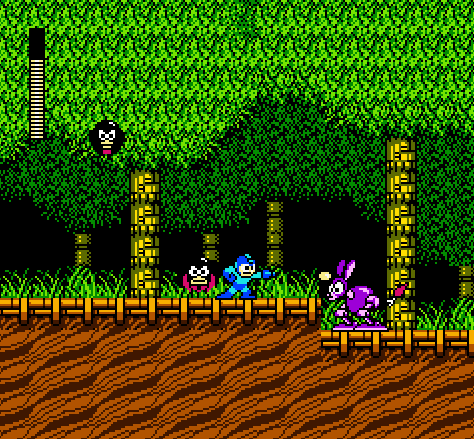 In fact, I'd include lots more classic series Mega Man games if I had the room. Hmm... Maybe I should have went with a top 100 list instead. Oh well. Too late now! 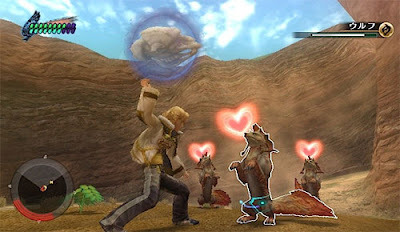 The Crystal Bearers, as part of the Final Fantasy Crystal Chronicles sub-series of games, features a grand variety of songs, whether orchestral and action-packed, folk, hillbilly country, New Orleans jazz, rock, and so much more. It fits the spirit of adventure that Final Fantasy Crystal Chronicles - The Crystal Bearers has to an absolute "T". F-Zero GX is a soundtrack of two parts. 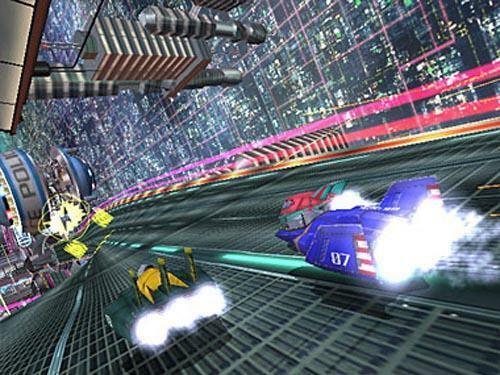 One is compromised of the various racing tracks, options, and other racing-related parts of the game. The other is made up of character themes for each of the around 40 unique drivers to race as. You get one part electronica, trance, and rock, while another is rock, heavy metal, and other types of awesome anthems. It's a soundtrack that is two halves, and the whole is something absolutely incredible. Rareware's batch of composers both old and new are some of the best in the industry, and Grant Kirkhope certainly is one of them. 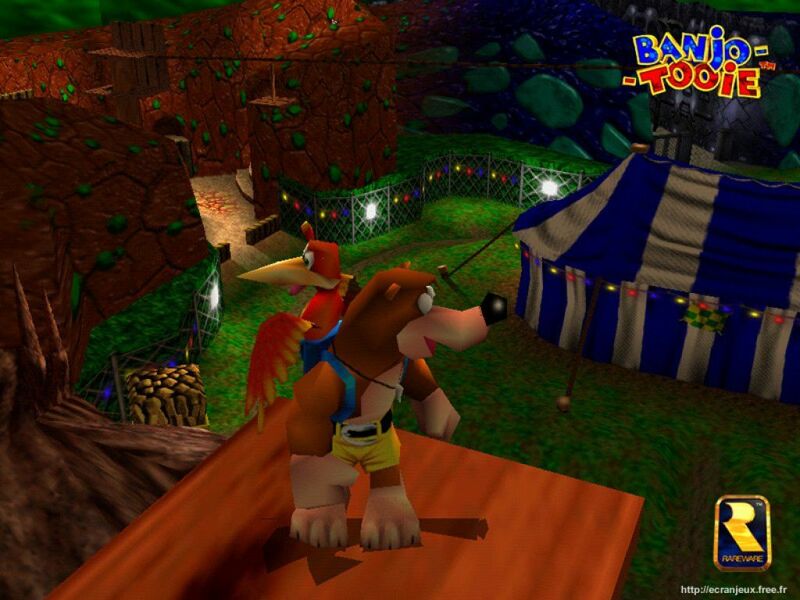 His work on the Banjo-Kazooie series is second to none. Well, actually, that isn't true, or this game would be #1 or #2 on this list... Anyway, if you're looking for dynamic music that changes instruments upon reaching certain areas of levels (and you don't mind it being catchy all the while), then Banjo-Tooie's soundtrack for you is golden like one of the many Jiggies bear and bird collect! 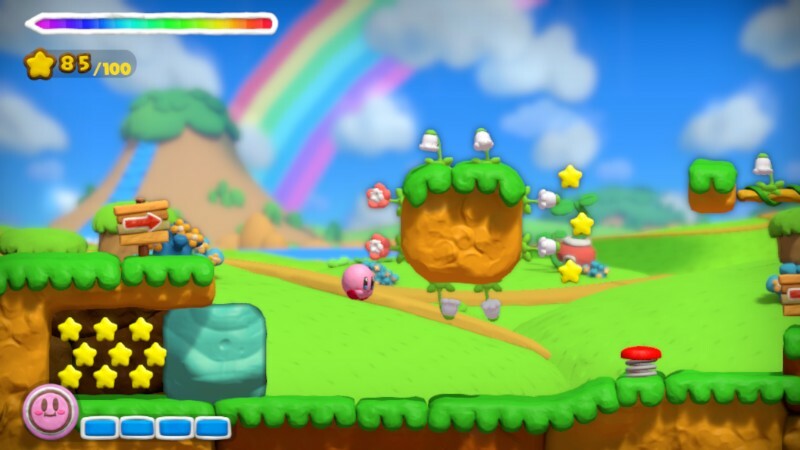 There are three words that describe the Kirby and the Rainbow Curse soundtrack: bright, bouncy and catchy. Shogo Sakai and Megumi Ohara composed and arranged this soundtrack, featuring a plethora of fantastic new tunes that one can't help but hum along to, as well a bunch of classic Kirby themes given the modern treatment. It's by far my favorite video game soundtrack so far in 2015. We conclude this tour of game soundtrack goodness with Ys: I & II Chronicles. The original Ys I and II soundtracks were composed in part by the fantastic Yuzo Koshiro, who still has a major presence in video game music composition nowadays. 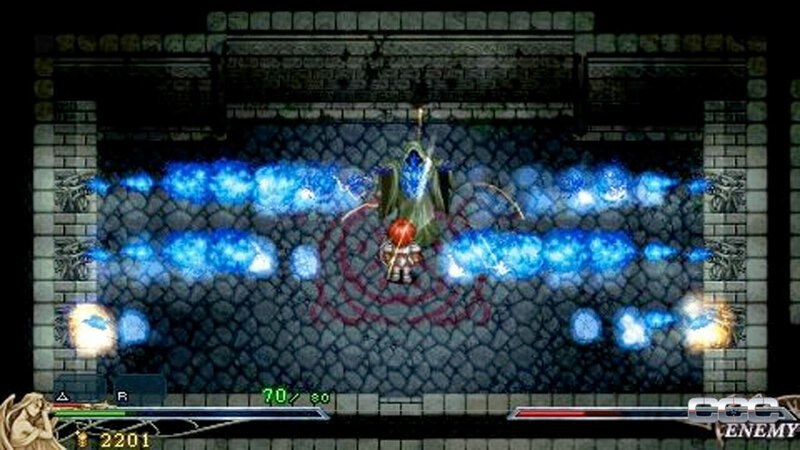 His, among others' works have gotten a major upgrade with the various remakes of the Ys games over the years. While this game doesn't have my favorite Ys soundtrack, it's still mighty darn awesome. As you can probably tell by the updated banner at the top of the site (as well as this post, for that matter), today, June 5, 2015 is SuperPhillip Central's seven-year anniversary! 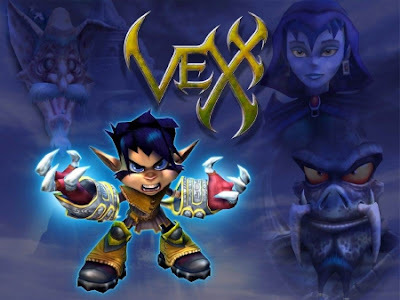 Who knew that a pet project where I reviewed games (in much lower depth and quality than I do now) would turn into a seven-year-old blog? Not me! I'd like to thank you, the reader of this site, for giving me a constant audience for my ramblings and reviews of the gaming industry. I hope you've enjoyed my work even if it's just one article or the entire blog itself. It makes me very happy I'm able to share my articles with a wide audience, write about my favorite passion, gaming, and do so with you guys putting up with my odd humor. Thank you to everyone for making SuperPhillip Central such a joy to write and visit time and time again. As long as there's people reading my stuff, I'll keep putting it out there. 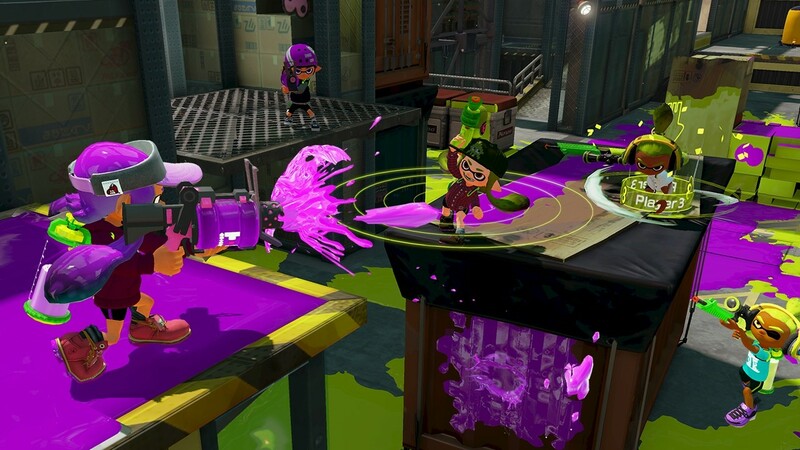 The latest highly anticipated and talked about multiplayer game Splatoon was released last week, and the popularity of the game seems to be quite tangible. It seems like a perfect time to bring out Multiplayer Madness for a second edition with Splatoon as the leading game to start us off. These games I have selected are some of the ones I've had the most fun playing with other people, whether online or off. If you missed the first installment of Multiplayer Madness, get yourself caught up to speed with this link. Once you're caught up, you can start reading the next eight games added to my list of multiplayer faves. The latest game that has consumed part of my life, Splatoon is Nintendo putting its own take on a popular genre, the third-person shooter. Matches don't revolve around defeating other players. Instead, the goal is to have your team use their weapons to unleash paint on more of the surface than the other team before time runs out. The terrific thing here is that as long as you are painting the ground, it doesn't really matter how many times you're splatted (i.e. K.O.'d). Matches are short enough at three minutes, and the tide of battle can change in an instance. 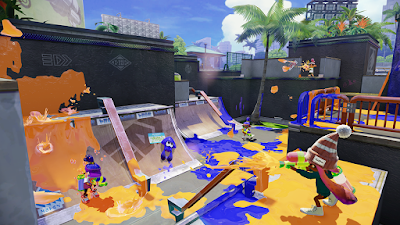 Splatoon is wonderfully chaotic, brilliantly executed shooter that has already had me spend more hours on the game's multiplayer than I care to admit in less than a week since its launch! Most of my time with Animal Crossing: New Leaf was spent alone, fixing up my village as the mayor through public works projects, buying new furniture, wallpaper, flooring, clothing, and home renovations, and doing my best to make my villagers happy. 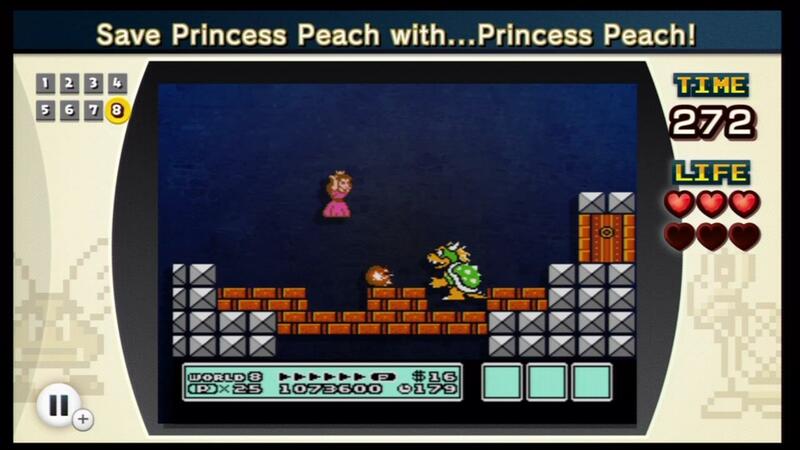 However, there was a whole other piece to New Leaf, and that was the multiplayer portion. It was a lot of fun to invite friends over to my town, hang out with them, trade items, head over to the island to play some of Tortimeter's mini-games, and just have a very relaxing go of things. It was a pace that was leisurely, and for once, I was content with that. Rayman Legends on Wii U is what I consider to be the definitive version of the game, offering the most intuitive experience around. 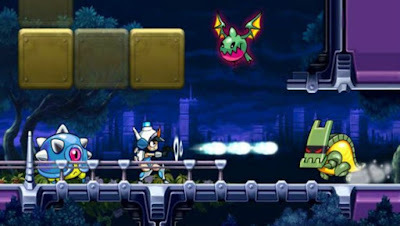 This 2D platformer shines brightest during the Murfy stages, where one player controls the character Murfy via the GamePad touch screen. 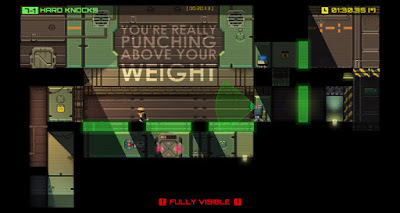 You move platforms, tickle enemies, and arrange obstacles to assist the player or players going through the levels. Of course, not all of the game is devised up by Murfy levels. 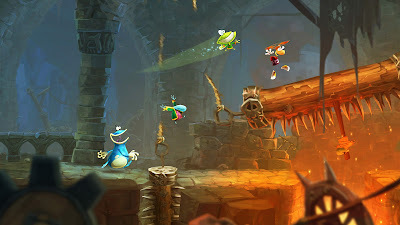 Traditional platforming challenges for up to four players are also available and as entertaining in Rayman Legends as they were in Rayman Origins, the game's predecessor. 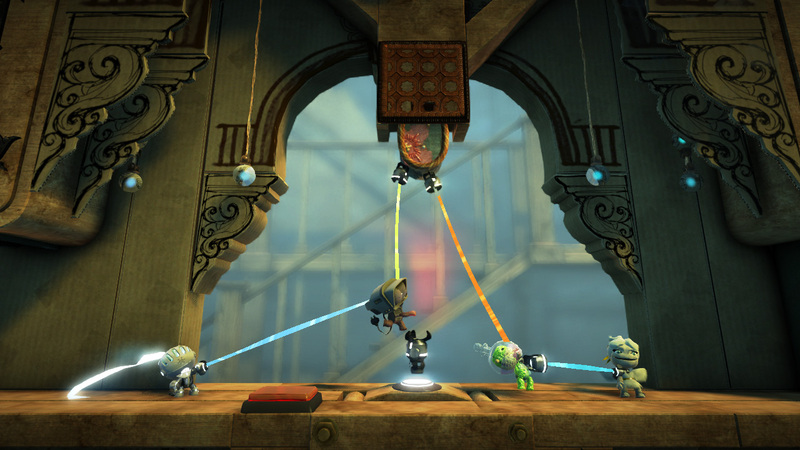 It's a platforming package that is worth its weight in lums. 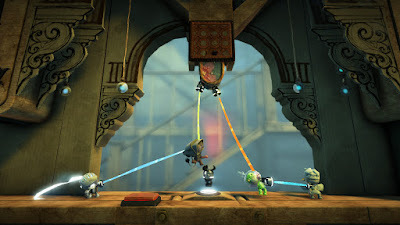 We leap into another platformer with a game with less tight controls than Rayman Legends, but it's still an amusing game to play, LittleBigPlanet 2. 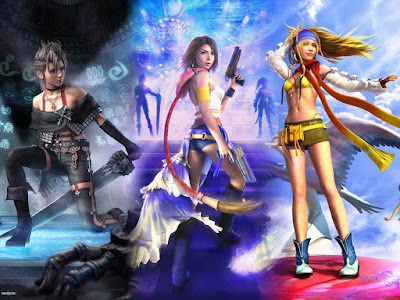 One of my first experiences with playing online with the PlayStation 3 was hopping online and playing through the game's story levels with total strangers. 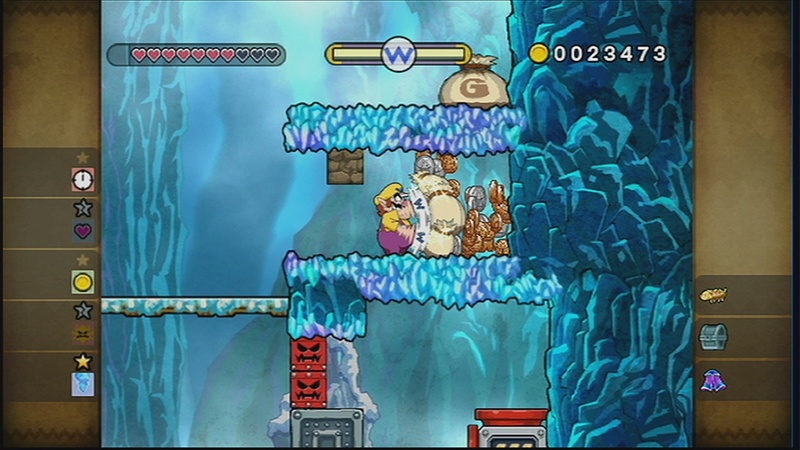 In the game there are locations that require multiple players to get the Prize Bubbles within. 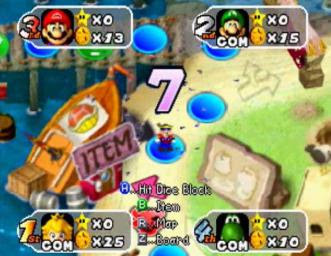 For instance, one player holds a switch to keep a door open while the other players enter to salvage their Prize Bubble bounty. It was also fabulously fun to play user created levels in a party, randomly selecting and checking out creations from the community. While the jumping may be floaty, the fun is most definitely grounded in greatness. 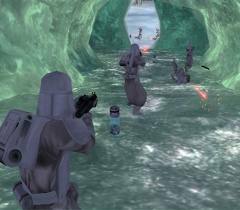 To prep for the upcoming DICE-developed Star Wars: Battlefront, I reviewed the original game. I had played it and its sequel when both came out, but the impending release of the new entry gave me an excuse to return to the games. 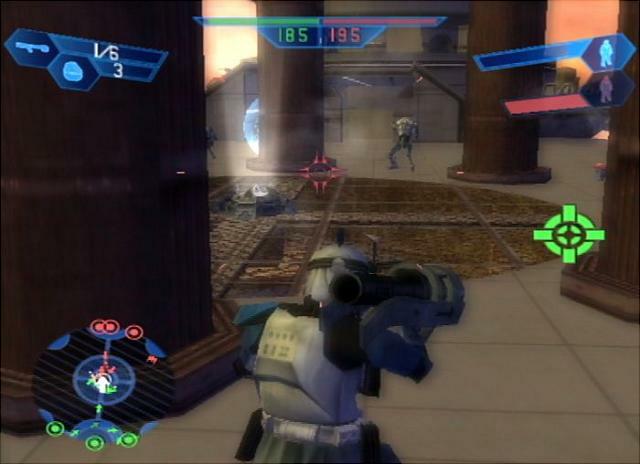 Even after all of this time, Star Wars: Battlefront for PlayStation 2, Xbox, and PC is still as fun to play as ever. There is nothing like being a part of a full-scale, highly contested battle, fighting alongside a massive squad of troops, and pushing the enemy back, all the while capturing their command posts. Playing the game cooperatively with my brother was like shooting a phaser-- it was a blast. We'd divvy up tasks and chokepoints to try to control, sharing impromptu strategies during battle. There's nothing else like splitscreen gaming! My first Xbox 360 game and probably the one that I've spent the most hours playing, Perfect Dark Zero may not have been the great successor to the original Perfect Dark that fans or me, for that matter, wanted, but overall the game wasn't bad by any stretch of the imagination. The grandest part of the game was the multiplayer, offering multiple expansive maps for over 32 players to play in Killcount, Team Killcount, Capture the Flag, Territorial Gains, and more. 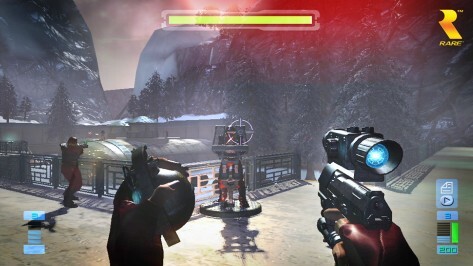 Vehicles like the hovercraft and jet-pack allowed for fast traversal over the great scale maps housing little hiding spots and a multitude of pathways. It might not have been "perfect", but this Xbox 360 launch title was a blast from the opening seconds of a round to the final kill. From one Rareware game to another, Diddy Kong Racing is my favorite kart racer of all time. 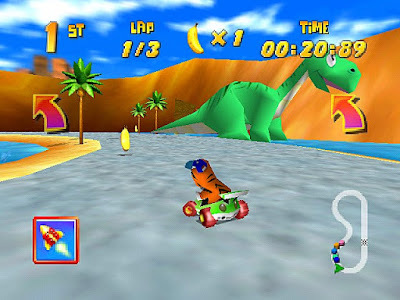 Part of what makes it so great beyond the awesome track design, innovative adventure mode, and three vehicle types to play as was the multiplayer, offering traditional races against up to three other players, a grand prix mode, and a battle mode. However, the best option available came within using the "JOINTVENTURE" code on the password screen. This would allow you and a friend (or in my case, my older brother) to tackle the adventure mode together. Diddy Kong Racing was just the gift that kept on giving long after you beat Wizpig all by your lonesome. 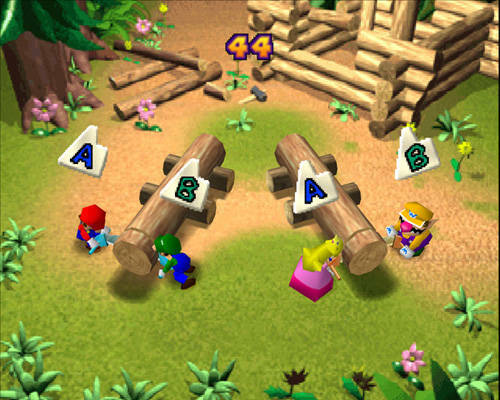 My favorite in the Mario Party series, Mario Party 2 did away with the palm and thumb-destroying mini-games that its predecessor possessed. 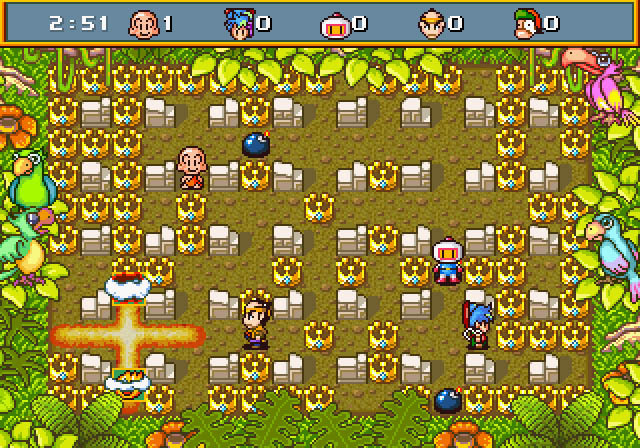 It did receive plenty of returning mini-games with new twists to each, plus a wide amount of brand-new ones as well. While the game was enjoyable enough solo, Mario Party 2 truly shun when you had four players in the room to tackle one of the game's six boards, battling over Power Stars, screwing over your friends and family members, and just having a great old time. 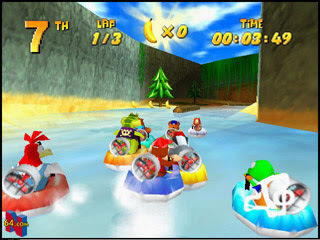 More modern Mario Party games don't have the same level of craziness of earlier Mario Party games, and that is a shame, as Mario Party 2's brand of party game is definitely one of my personal faves. A companion piece to my list of the best Nintendo 3DS eShop games, it's time to tackle the Wii U's veritable treasure trove of digital gaming delights with a list of the 21 best Wii U eShop games that are currently out there. From platformers, a popular genre for both Wii U fans and indies, to puzzle games, there's plenty for any discerning Wii U owner looking for something new to play that won't burn a hole in their wallet simultaneously. We start together on our stroll through the Wii U eShop's best with a colorful platformer, Paper Monsters Recut. Enemies, objects, and obstacles are made out of paper and cardboard, bestowing upon the game a very pleasant and pleasing-to-the-eye aesthetic. 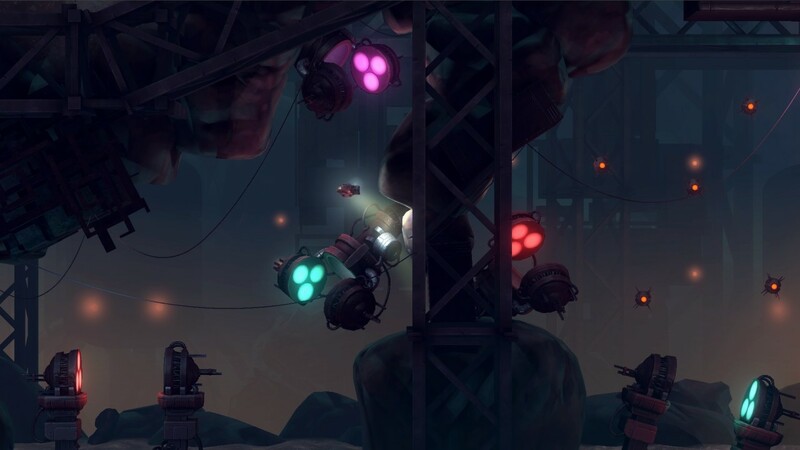 The level design offers plenty of challenges for players to overcome and charming design. 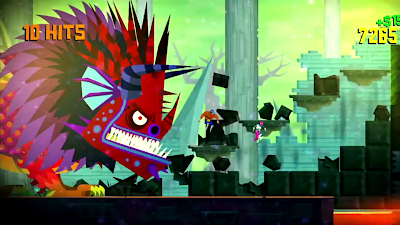 While the weak point of the game is in its boss battles, the overall package is one that should delight platforming fans of all ages. A 2D platformer with a twist, Chariot has you pulling around the coffin of the King, using the coffin as a platform to reach higher places, riding it for faster travel, pulling it up cliff faces, and doing lots of rope-pulling to move the coffin around. The game is quite a challenge, though not so much at first. 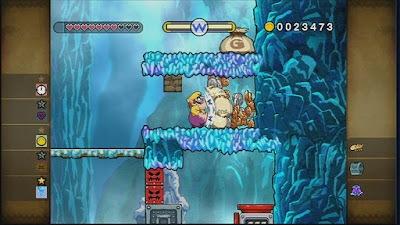 It is especially difficult to acquire all of the bonus goodies in the game. Difficult, but a fair challenge that will put your pulling, pushing, and platforming prowess to the ultimate test! Spy Chameleon came out of nowhere to surprise me when I originally played it. It has you maneuvering the eponymous chameleon through levels, attempting to avoid detection by enemies, spotlights, and cameras. To do this, you must use the special camouflage ability of the chameleon to blend in with the floor you're currently stepping on. Many times you'll find yourself frantically switching colors one after another to stay undetected. 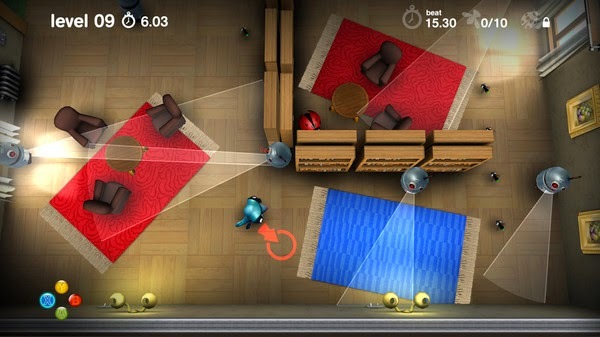 Spy Chameleon features clever level and puzzle design, plenty of replay value, and a low cost of entry. Shin'en Multimedia is set to debut footage of the team's latest Wii U eShop game around E3 time, FAST Racing Neo. In fact, a handful of new screens was shared today. 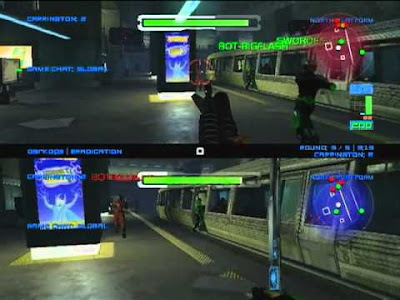 That said, let's look back at one of Shin'en's first Wii U eShop games with Nano Assault Neo. 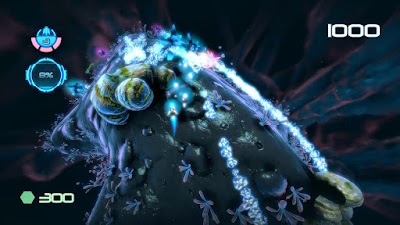 Unlike the Nintendo 3DS game, Nano Assault EX, Neo simply has levels where you traverse over microscopic vessels, destroying enemies with a twin stick setup. It's more of a high score affair than the more story-driven adventure of the 3DS game. 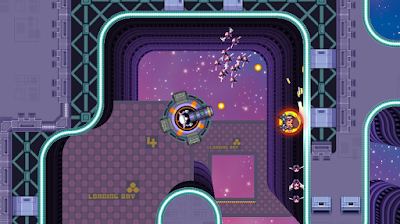 Nonetheless, if you're craving some tight and intense twin stick shooting action, Nano Assault Neo on the Wii U is a novel choice. If I were to update my list of Wii U games that best use the GamePad controller, a new game to add to that ever-growing list would be Affordable Space Adventures, an indie pursuit showing that there are still some developers out there who can put the Wii U's controller to good use. Controlling your space ship with a variety of doodads is a breeze thanks to the Wii U GamePad's screen. Few games have brought such innovation from the GamePad that gamers like myself dreamed of when Nintendo first unveiled the controller. Yes, the asking price is a bit high for an eShop-only title at $19.99, but the experiences unleashed on the player that few other games can take credit for make Affordable Space Adventures worth it to me. Both Mighty Switch Force games from WayForward have you assuming the role of a police officer, running and gunning your way through levels both linear and nonlinear in search of fugitives. This is all the while being timed. 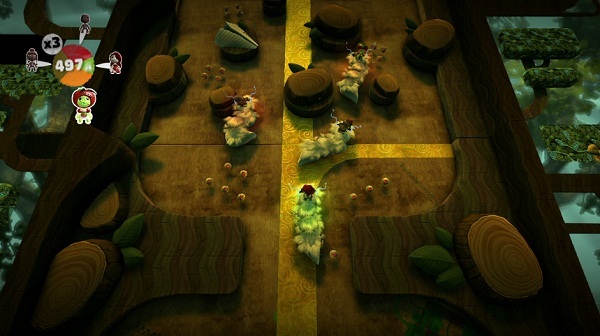 Therefore, you can probably imagine how tense a level can be, especially if you're running and gunning for a best time. The games are both full of complex levels to master, finding the most efficient path to get a record time. Of course, once you find that most efficient path, you still have to have the skill to execute well! This is an on-rails game-- literally! Scram Kitty and His Buddy on Rails has you controlling a vessel that moves along rails both straight and curved. You can launch yourself from one rail to another at any time with the simple press of the jump button. 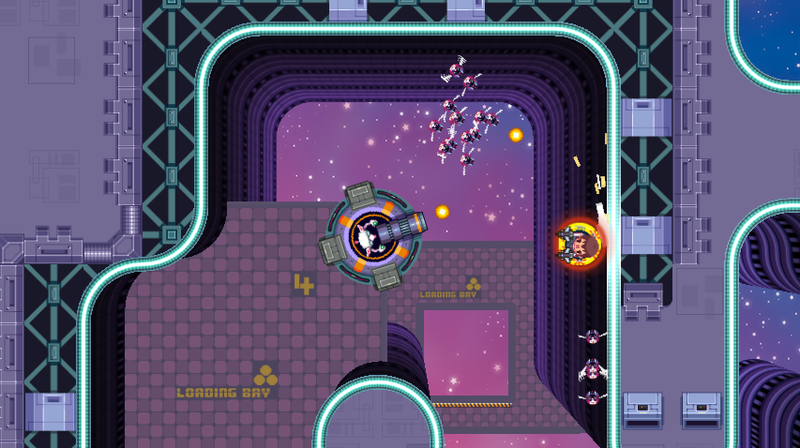 You do this while shooting down enemies, avoiding obstacles, and capturing lost kitties. The game found its way to the PlayStation Vita as well, so whichever system you prefer it on, go scram and get this kitty-filled delight! Pushmo is one of the Nintendo 3DS eShop's greatest games. On the Wii U eShop despite much less competition, the quality of said competition is much greater, I would argue. 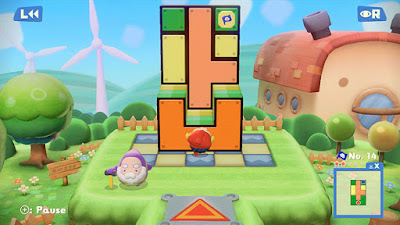 That said, Pushmo World is only not rated higher as it is an entry in the series that doesn't implement many new changes to shake up the formula like other iterations of the franchise starring Mallo. However, if you crave even more pushing, pulling and jumping to try to reach the top of Pushmo puzzle creations, then Pushmo World has you covered. It's still a great foundation, and Pushmo World doesn't try to fix what isn't broken. A safe release, but still a fun one. I remember growing up when Tony Hawk's Pro Skater released. It was my "jam" (as the kids say) for a long time. I loved the series up to American Wasteland, where my love sort of poofed (I don't care if you say "poofed" isn't a word, Google Chrome) out after so much sameness with the franchise and little innovation. 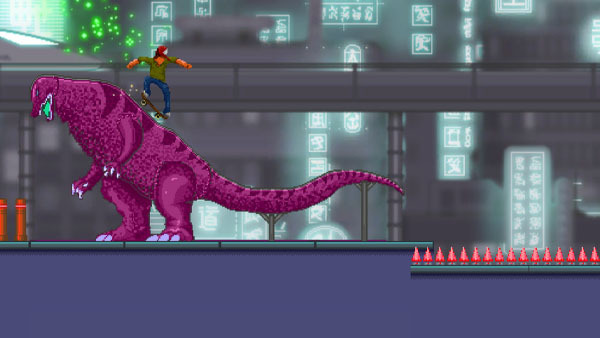 OlliOlli is a completely 2D affair, offering an arcade-like experience with ollieing (again, I don't care, Google Chrome), grinding, and performing insane flip and grab tricks while also offering unique per-level challenges to try to complete .It all adds up to an addicting game that takes great skill to master but is easy for anyone to get into. Stealth Inc. 2: A Game of Clones was a timed Wii U exclusive, and now it's available on a variety of storefronts. It's a really cleverly done game with plenty of "son of a gun!" 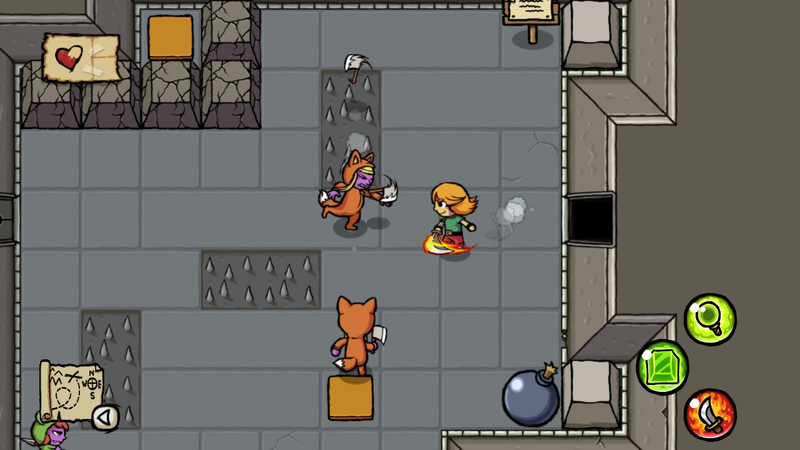 moments, clever puzzles, and a great layering of known skills to solve the puzzles ahead. 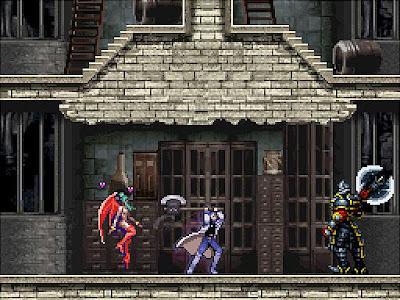 While the game may have "stealth" in the title, most of the time you're figuring out to progress in the game through obstacles in your way and using different items to their maximum potential. 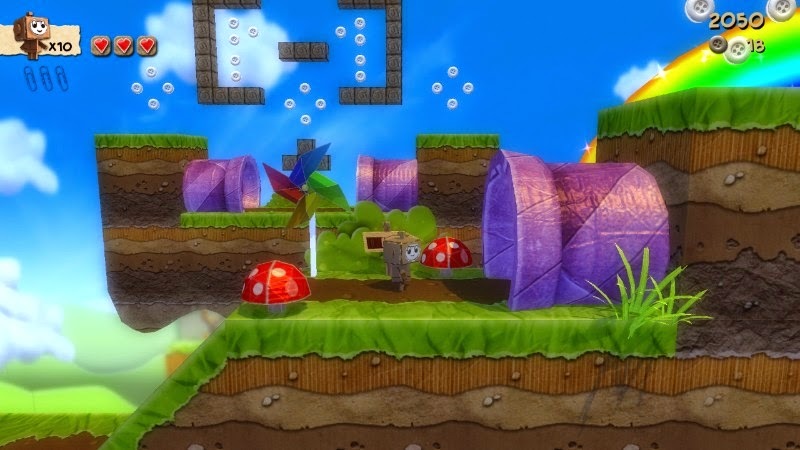 The added bonus of a level creator makes for a game that allows many possible play hours to rack up as you enjoy this delightful puzzle platformer. 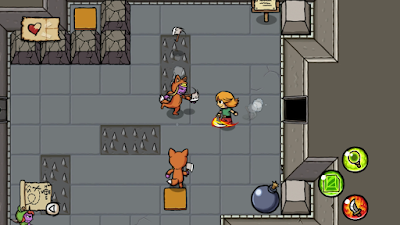 Ittle Dew is a take on traditional Legend of Zelda games with its top-down, overhead perspective. Meanwhile, Elliot Quest is more of a game inspired by Zelda II, seen by many fans as the black sheep of the Zelda series, the CD-I games notwithstanding. 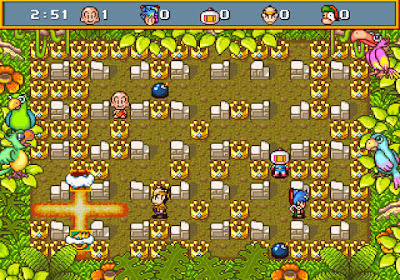 You play as Elliot, a boy who as the game progresses gains new items and abilities such as the helpful bombs and double jump. You enter 2D temples, dungeons, caves, towns, and a wide array of outdoor environments to continue your quest within the game. The controls are tight, the level design is superb (nothing I would hate more than having to backtrack over and over again because of poor planning), and the boss fights feature some crazy challenges. Elliot Quest is a grand adventure for young and old. Shantae is back, but no, she isn't back in pog form. (C'mon, that's an old meme anyway.) 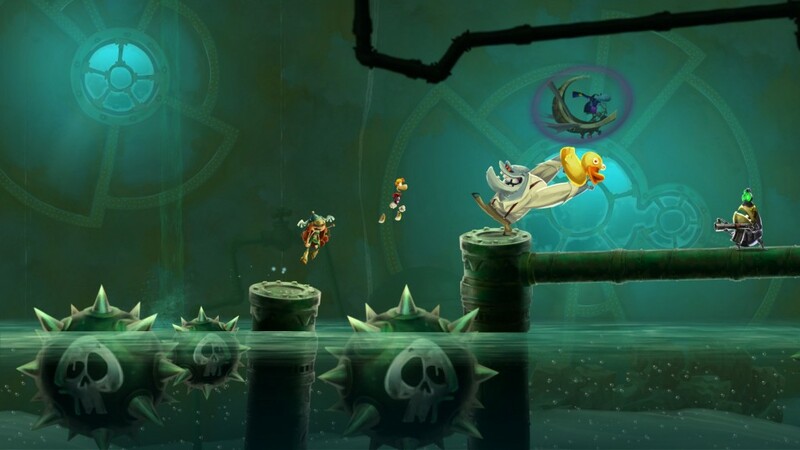 Shantae returns with a 2D Metroidvania adventure that gives players plenty of gameplay variety other than simply exploring environments obsessively. For instance, one area has you carrying a zombie's head through an obstacle course. Why? Probably because the zombie got a head of himself. *rimshot* But seriously, folks, Shantae's latest release (also available on the Nintendo 3DS eShop) is one that is full of intriguing gameplay, tight controls, and wonderful platforming action. Dig, baby, dig. 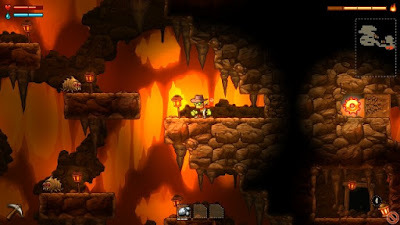 SteamWorld Dig is all about digging for treasure-- ores and minerals in this case-- and then returning to the surface to sell them off for goodies. 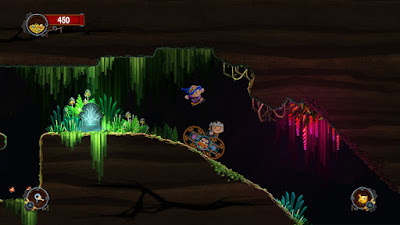 There are myriad caverns to come across that offer you new abilities for successfully solving the puzzles of which they contain. It's a strangely addicting gameplay formula that keeps you coming back for me. SteamWorld Dig recently was part of the Humble Nindie Bundle, a promotion for charity between Nintendo of America and the Humble Bundle, for those who spent more than the average selling price. Even if you missed out on that deal or couldn't take advantage of it due to Nintendo's dreaded region locking, you still owe it to yourself to get SteamWorld Dig and test the game out to see if it's for you. 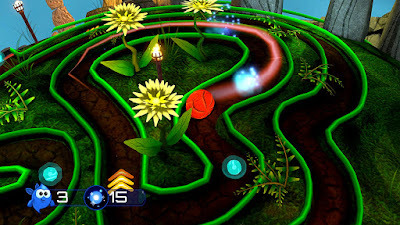 A game that reminds me of Nintendo 64-era games (and I don't mean that in a negative way, as if the game has horrid visuals, frame-rate, and camera controls), Armillo has you rolling around as the lead character through an abundance of spherical worlds containing myriad mazes, obstacles, and enemies. The other half of Armillo is composed of several challenging 2D levels, so you're getting both 2D and 3D gaming greatness all in one adorable armadillo-inspired package. Platforming, puzzles, and combat are all what the Trine series is about-- though with a focus on the former two rather than the latter. Most of the time your sticking point in Trine: Enchanted Edition or the launch eShop title Trine 2: Director's Cut won't be due to a hard enemy but due to a perplexing puzzle. Trine is all about using the environment to your advantage, interacting with objects or utilizing one of the three heroes's abilities, the Wizard, the Knight, and the Thief. With gorgeous visuals that you can't help but stop to admire, creative levels that feel natural in appearance and design, and plenty to collect for those who aren't simply satisfied in making it to the credits, both Trine games are excellent choices for a Wii U owner. 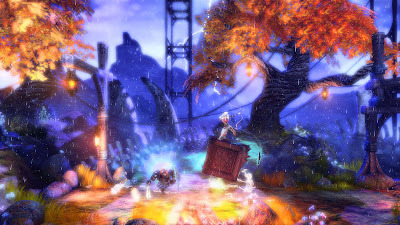 Here's hoping Trine 3 comes the Wii U's way! 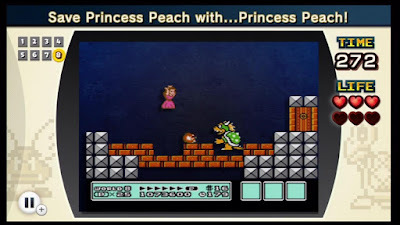 Take on miniature challenges within classic Nintendo Entertainment System games like Super Mario Bros., The Legend of Zelda, Metroid, Kirby, Kid Icarus and more! Defeat foes, collect coins, bomb a Dodongo, etc. within a limited amount of time to see if you can get a high score. NES Remix 1 and 2 deliver retro gaming goodness while also offering a fresh take on old classics. While not every game in the collection is a winner (I'm looking at you, Golf, Pinball, Wario's Woods, and Ice Climber, for starters) the challenges towards each game is enjoyable enough to attempt to beat. Just realize that you aren't getting full-sized versions of each NES classic-- just quick challenges to beat based off each classic. 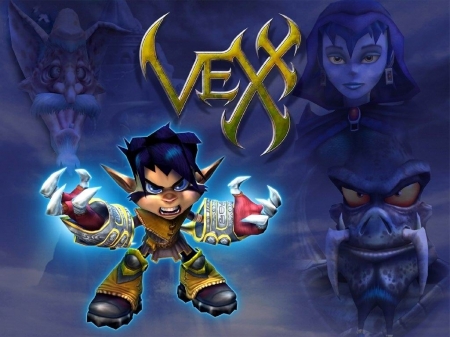 Thankfully for this next game on my list, playing the game is way more fun than trying to type out its name. 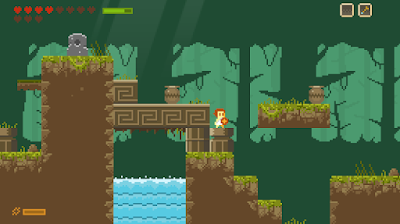 Jumping, kicking, sliding and blocking are all actions available to you in this auto-scrolling rhythm based platformer. The game is a blast to play with its immense amount of levels, infectious beats and songs, unlockable content, and vivid and vibrant graphical style. 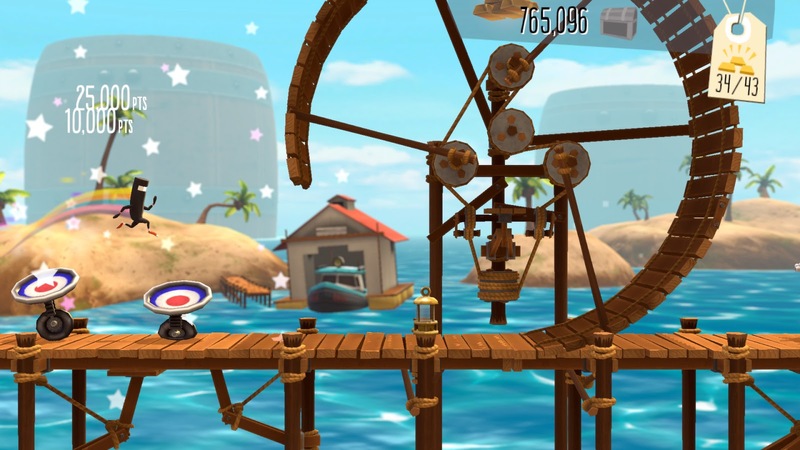 The great thing about Runner 2 is that is eases the player into the game, upping the challenge at a steady and fair pace. 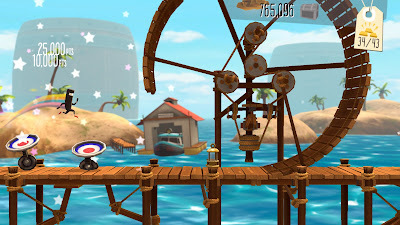 I can't help but argue that if there's one version of Runner 2 to get, it's the Wii U eShop version. Do you like puzzles? Do you like a Metroid-style progression in your puzzle games? Do you like cute baby chickens? Then, Toki Tori 2+ is the game for you. While you have all of the moves available to you at the beginning of the game, Toki Tori 2+ teaches you how to best utilize them so you can reach new areas to explore. 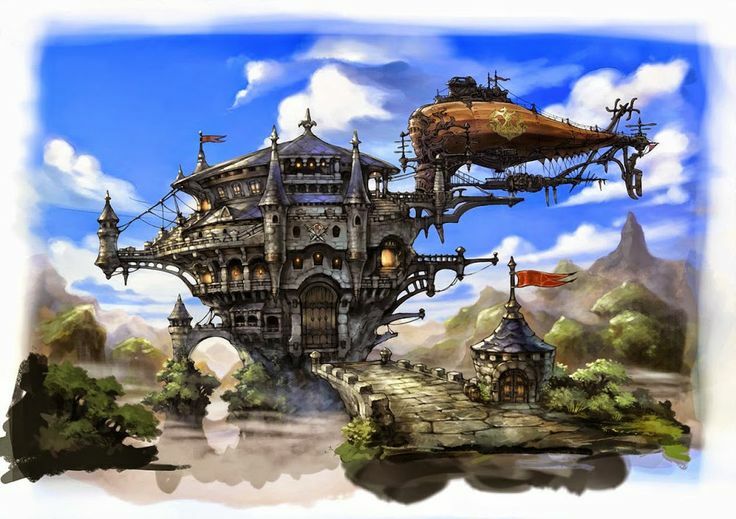 Thus, technically you can travel and explore wherever you wish right from the onset of the game. 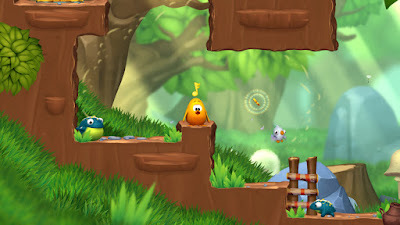 What you get with Toki Tori 2+ is a cute game, but that adorable exterior belies a game that has zero hand-holding and so much potential for you as the player to find large fulfillment in solving how to reach that out-of-the-way platform or that one new area all on your own. Guacamelee! Super Turbo Championship Edition was also recently part of the Humble Nindie Bundle. It's quite a treat for those who like the progression of Metroid games. Not only are protagonist Juan's abilities useful in combat (which feels and plays awesomely, by the way), but they are also used to make progress within the game. An uppercut is great to pound some sense into a foe, but it's also great to destroy certain blocks that would otherwise be impossible to pass. Using moves in a chain in either combat or through progression-based platforming challenges makes for a Metroidvania (sorry if you dislike that term) that is too good to pass up. Not just the best game on the Wii U eShop, but also the 3DS eShop, and quite possibly on a lot of other digital storefronts it has released on! Shovel Knight hearkens back to a simpler time in gaming, with odes to Mega Man (bosses being similar to Robot Masters), DuckTales (Shovel Knight's ability to bounce off enemies with his shovel like a Pogo stick), Zelda II (2D towns), Super Mario Bros. 3 (the world map) and more. 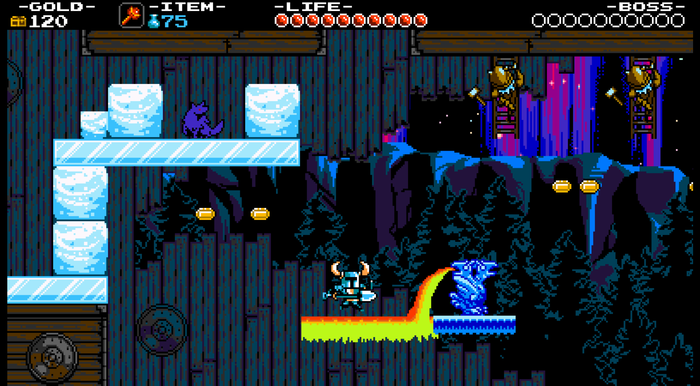 Offering a profusion of levels, achievements, and unlockables, Shovel Knight feels like a retro game but with all of the improvements brought about by modern gaming to create one astounding 2D action-platformer. You done good, Yacht Club Games. You done good. The order may not be perfect, but all that matters are the games anyway. I'd like to do some honorable mentions which include Mario vs. Donkey Kong: Tipping Stars, Dr. Luigi, Art of Balance, among others that didn't quite make this list. There is a lot of good stuff on the Wii U eShop, and hopefully this list helps you find some of it. SuperPhillip Central celebrates its seven-year anniversary with a tribute to the best VGM! This Friday, June 5, 2015, SuperPhillip Central will turn seven years old. To celebrate this year, I am planning a five-week top 50 list of what I perceive to be the best video game soundtracks of all time. There will be ten game soundtracks per week, starting this Friday evening. In addition to the top 50 list, I have other things planned for this month for the anniversary as well. Perhaps SuperPhillip Central will hit its 600th review? Who knows! All I do know is that it's going to be an exciting month for my readers and for me too! Come join the celebration beginning this Friday!